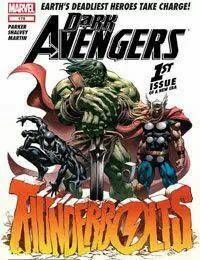 The start of an explosive new era in the Avengers mythos! Who are the Dark Avengers? Who is the Iron Patriot? The answers will shock you! Brought to you by Brian Michael Bendis and Mike Deodato Jr.